The first new resort in the Yosemite National Park area in more than 25 years opened Summer of 2016. RCL is a full-service, 143-room mountain resort on a 20-acre wooded site, less than a mile from the park’s west entrance. The project design included a hotel Reception and Retail building, Restaurant and Tavern building, Hotel building and 20 Villas units sprinkled on the mountain side. 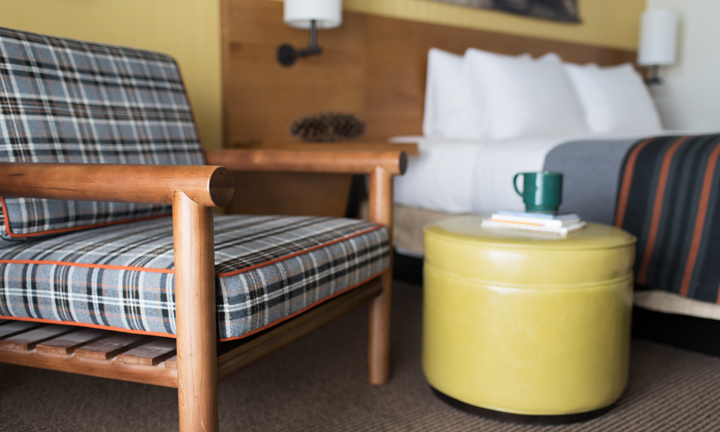 Rush Creek Lodge marries an authentic, timeless feel with modern amenities for a consummate national park lodge experience that is both relaxed and sophisticated. Interiors, Custom Furniture & Lighting, Art Direction, Identity & Branding, Graphic Design & Sign programs.